We live in the era of study drugs — supplements and medications that improve our ability to store memories, be productive, or remain focused for long periods of time. Students all over the world are adopting study drugs as tools for their academic efforts to score higher grades and increase chances of success. 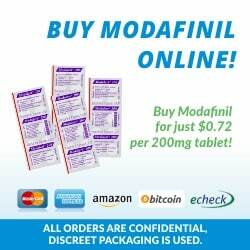 As the most popular option — modafinil is the current king of the study drugs. Despite its popularity, many students are taking modafinil incorrectly — which not only negates much of its benefits but can actually have a negative impact on your ability to study. In this article, we go over how to use modafinil as a study aid, and what to avoid when using this incredible medication to boost your GPA. What Happens in the Brain While Studying? Studying is a complex process in the human brain — something researchers are still struggling to understand. When we study, information gathered by our eyes and ears is sent to the brain where we try to make sense of the information. Many different parts of the brain need to work together to decipher, categorize, and store information as we receive it. While this information is “bouncing around” within the brain, we rely on neurotransmitters like dopamine, acetylcholine, glutamate, and serotonin to pass the information around. All of these neurotransmitters are important for studying — and problems with any of them are going to bring cognitive issues that can make it much harder to study. With that said, when we compare the mechanisms of the best study drugs available (Adderall, Ritalin, Modafinil), we find they all have one thing in common — they increase dopamine levels in the brain. Dopamine is a versatile neurotransmitter, it’s involved in the regulation of emotions, hormones, and the reward centre of the brain. Dopamine is also closely associated with the reward system in the brain — which is responsible for regulating our habits and keeping us focused. When we do something that benefits the body — such as eating or socializing with others — the reward system fires with the help of dopamine. This causes a release of oxytocin which gives us a brief feeling of euphoria. The brain loves this euphoria and will try to repeat activities that caused it — thus forming habits. While we study, this reward system needs to remain active so that we can stay focused on the task at hand. As soon as it ceases to fire, other areas of our brain will seek out new forms of stimulation — such as fidgeting or seeking distractions like Instagram or Facebook. The amount of dopamine we have available is going to affect the threshold for the firing of our reward system. If dopamine is low, it takes more stimulation to activate the reward system. Likewise, if dopamine levels are high, it’s easy to activate the reward system — and therefore continue focusing more intently on the task at hand while we study. Modafinil, Adderall, and Ritalin — three of our most important study drugs — all work to increase dopamine concentrations in the brain. A common medical condition involving attention difficulties — attention deficit hyperactivity disorder (ADHD) — is notorious for making studying more challenging for those affected. Research has found that people with this condition often have a reduced ability to manufacture dopamine in the brainSwanson, J. M., Flodman, P., Kennedy, J., Spence, M. A., Moyzis, R., Schuck, S., … & Posner, M. (2000). Dopamine genes and ADHD. Neuroscience & Biobehavioral Reviews, 24(1), 21-25. — raising the threshold for the reward system to activate and dose us with oxytocin. This makes it especially difficult to stay focused while studying. Doctors will often prescribe dopamine-enhancing medications like modafinil or Adderall as a treatment for this condition because they can decrease the amount of stimulation needed to make the reward system fire. The result is a much easier ability to focus and pay attention. Fortunately, these effects also work in people without ADHD. 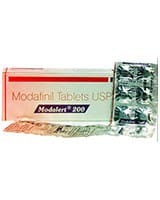 Modafinil works by increasing neurotransmitters that make us feel awake such as histamine, orexin, and norepinephrine. Norepinephrine is closely associated with dopamine (they share common precursors and metabolic pathways). While modafinil works on norepinephrine, it also increases dopamine levels. It does this not by stimulating the production of new dopamine, but by preventing the breakdown of dopamine in the brain, allowing it to rise gradually throughout the day.Volkow, N. D., Fowler, J. S., Logan, J., Alexoff, D., Zhu, W., Telang, F., … & Hubbard, B. (2009). Effects of modafinil on dopamine and dopamine transporters in the male human brain: clinical implications. Jama, 301(11), 1148-1154. 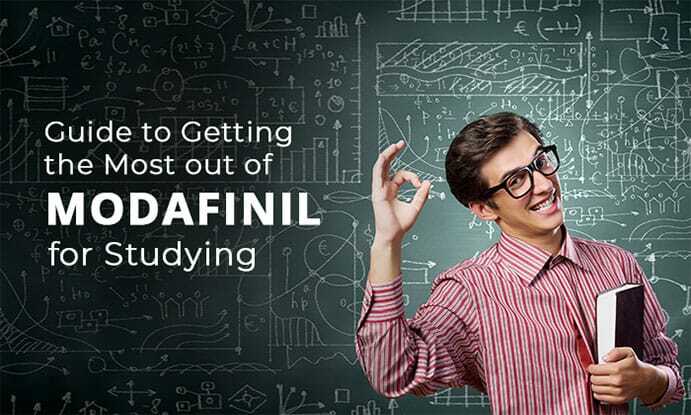 Here’s how to use modafinil effectively to get the most out of your study efforts. Just like food, you may forget to drink enough water while using Modafinil. One of the most common mistakes people make when using modafinil is not drinking enough water. The drug is metabolized throughout the day by the liver before being filtered out by the kidneys. It can take a lot of water to pull all that modafinil out of the blood — leading to increased urination and eventually dehydration. 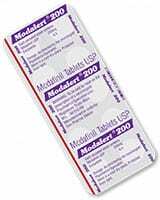 The other problem is that modafinil tends to inhibit urges for basic life processes like eating or drinking. This, combined with increased water loss, makes it easy for us to become dehydrated while taking modafinil. One of the main side-effects of dehydration is reduced cognitive function — directly affecting the very reason we’re taking the drug. It can make us feel slow and dull, taking much more effort to solve problems than it would normally. Ensuring you’re drinking water regularly throughout the day will go a long way in maximizing the effects of your modafinil and is a simple way to avoid other side-effects like anxiety or headaches — both of which can also negatively affect our ability to study effectively. L-theanine is an excellent companion supplement to take alongside modafinil. It’s one of the active ingredients in green tea. 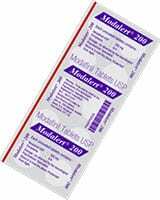 It works to induce a state of clear-headed focus and perfectly compliments the stimulating effects of modafinil. Taking L-theanine alongside modafinil will go a long way in alleviating side-effects like anxiety, and adds its own cognitive boost — it works primarily through dopamine, GABA, and serotonin.Yokogoshi, H., Mochizuki, M., & Saitoh, K. (1998). Theanine-induced reduction of brain serotonin concentration in rats. Bioscience, biotechnology, and biochemistry, 62(4), 816-817.Desai, M. J., Gill, M. S., Hsu, W. H., & Armstrong, D. W. (2005). Pharmacokinetics of theanine enantiomers in rats. Chirality, 17(3), 154-162. It may be tough, but make sure you remember to eat after using Modafinil. The smart drug can act as an appetite suppressant. Your brain needs access to amino acids, fats, sugars, and coenzymes like vitamins and minerals to be able to power the brain and manufacture the neurotransmitters needed to study effectively. 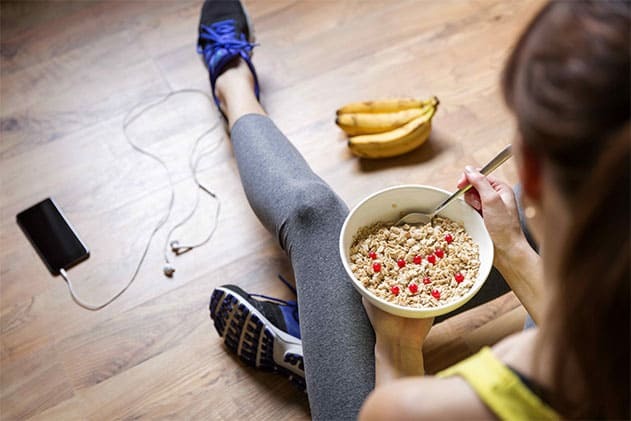 Modafinil often kills the urge to eat, so it’s especially important to have a nutritionally dense breakfast to carry you through most of the day before the effects of modafinil kick in. Focus on eating dense foods that are rich in micro and macronutrients — especially B vitamins, amino acids (protein), and fats — all of which are especially important for cognitive function. If you’re struggling to sleep after using Modafinil, a supplement stack designed to help you fall asleep can be beneficial. Modafinil delays the need to sleep. The key word here is “delay” — we still need to sleep just as much as everybody else, even when we take modafinil. It’s not wise to stay up for multi-day study sessions no matter how hard we’re working. The brain still needs sleep, and as soon as we become sleep deprived, our ability to store new information becomes compromised. Do yourself a favour and make an effort to get a good nights sleep — every day. You should be getting at least 8 hours of sleep for best results. Don’t let your smartphone addiction win. Set some ground rules with your phone and ensure that it doesn’t bother you. Even while taking modafinil we can find ourselves distracted by things like Facebook, Instagram, friends, and family, or other forms of procrastination like house cleaning or online shopping. In order to get the most out of your modafinil (and study efforts in general), you need to make your environment conducive to learning. 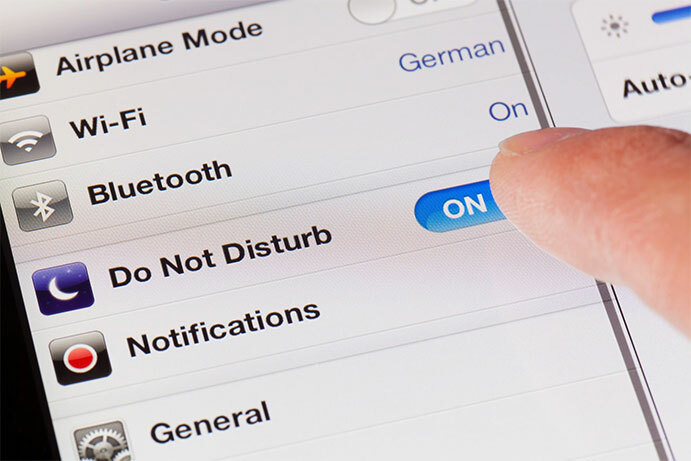 Close webpages like Facebook and turn your phone on “do not disturb” mode. Clear your desk before you start working, or go somewhere to work that’s quiet and away from your normal distractions. This point overlaps number four — but with some important differences. Even people that give themselves enough sleep each night, can miss this step. If all you do every day from the moment you wake up to the moment you fall asleep is taking modafinil and study/work — you’re going to burn out very quickly, even with a full 8 hours sleep each night. Your brain needs the chance to rest and recover those important neurotransmitters. Taking modafinil every single day can result in tolerance (the drug won’t work as well as it used to). 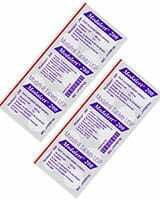 Adrenal fatigue and burnout is also a concern when taking stimulants like modafinil day after day. For these reason, it’s important to take some days off of the drug, and off studying every week. Some people take mental rest days every 3 or 4 days others just once per week. Everyone is different and will need different levels of recovery. Listen to your body and don’t overexert yourself — it’s only going to make you burn out, which is far worse than simply taking some time to relax and do something else from time to time. There are a lot of ways modafinil can be used to boost our study efforts. It delays mental fatigue and boosts dopamine levels to help us remain focused longer and more intently. These are both incredibly valuable effects of the drug that directly improve our ability to study or finish tough university projects. If you follow all of these tips to the letter, you’re going to be much more successful with your study efforts. Of course, there are other tips and tricks you could be using to really dial in your study routine and modafinil use — but these are going to cover the majority of problems people experience when using modafinil as a study drug. 1. ↑ Swanson, J. M., Flodman, P., Kennedy, J., Spence, M. A., Moyzis, R., Schuck, S., … & Posner, M. (2000). Dopamine genes and ADHD. Neuroscience & Biobehavioral Reviews, 24(1), 21-25. 2. ↑ Volkow, N. D., Fowler, J. S., Logan, J., Alexoff, D., Zhu, W., Telang, F., … & Hubbard, B. (2009). Effects of modafinil on dopamine and dopamine transporters in the male human brain: clinical implications. Jama, 301(11), 1148-1154. 3. ↑ Yokogoshi, H., Mochizuki, M., & Saitoh, K. (1998). Theanine-induced reduction of brain serotonin concentration in rats. Bioscience, biotechnology, and biochemistry, 62(4), 816-817. 4. ↑ Desai, M. J., Gill, M. S., Hsu, W. H., & Armstrong, D. W. (2005). Pharmacokinetics of theanine enantiomers in rats. Chirality, 17(3), 154-162.